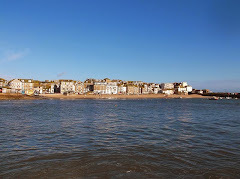 Lots to do in St Ives this week as the main holiday season gets into full swing. Tonight (24th July) there is a classical music concert at St Ives Parish Church with Sine Nomine - part of their Sunday@8 series of concerts. Starts at 8.00 pm and admission on the door is £5.00. Tomorrow (25th) Freddy Zapp is hosting a Karaoke Night at The Sheaf Of Wheat. The fun starts at 8.00 pm - free entry. Also on every Monday and Wednesday throughout the summer. 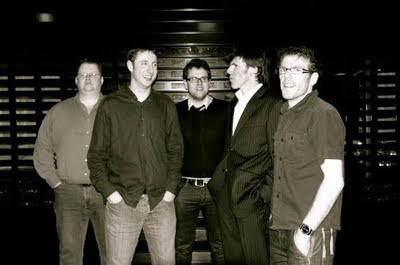 On Tuesday (26th) St Ives Jazz Club are staging Gareth Roberts Quintet - original modern jazz influenced by Charles Mingus and the Blue Note jazz of the 60s. Doors open at 8.00 pm, music from 9.00 pm and entry on the door is £10.00 / £6.00 (members). More top class modern jazz every Tuesday all year round. On Wednesday (27th) there is a Falconry Display at Tregenna Castle - owls, falcons and hawks will show off their breathtaking flight skills around the 72 acre estate in St Ives. Starts at 6.00 pm and its a free event. Food and drink available in the hotel bar and brasserie. On every Wednesday through the summer. On Thursday (28th) Café Frug returns to St Ives Arts Club. An eclectic mix of music, poetry, comedy, film and just about anything else - depending on who turns up. Doors open at 7.30 pm and entry is £4.00 / £2.00 (members). Also on every second Thursday throughout the year. On Friday (29th) its the monthly Late At The Tate - free entry to the Summer Exhibition, animated film - The Itch Of The Golden Nit, documentary film - Agnes Martin, food and bar in the Tate Café. Starts at 6.00 pm - free entry. On Saturday (30th) why not try something creative ! Textile artists Jo McIntosh is running a Papier-Mâché Workshop in St Ives. Runs from 10.00 am to 4.00 pm and the cost is £40.00 including all materials. To book - contact Jo on 01736 797 122.